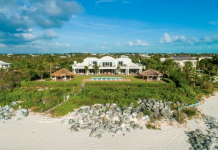 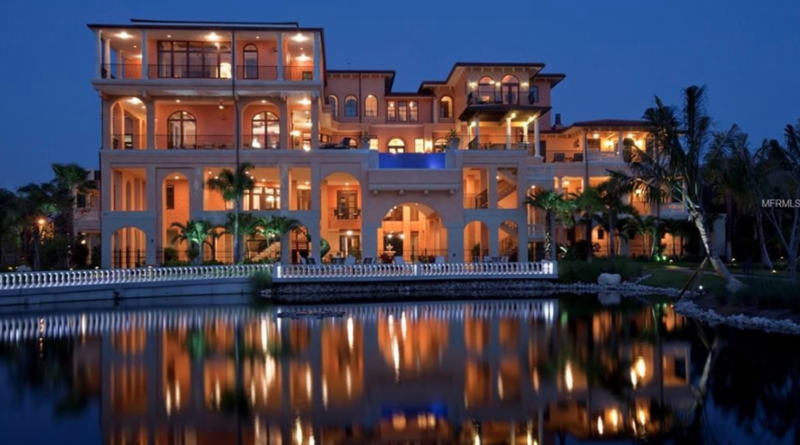 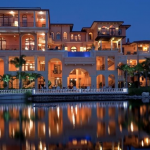 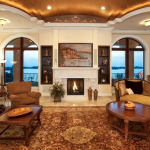 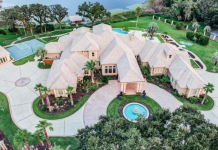 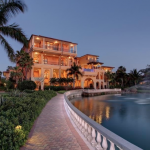 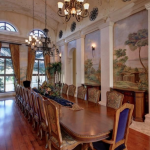 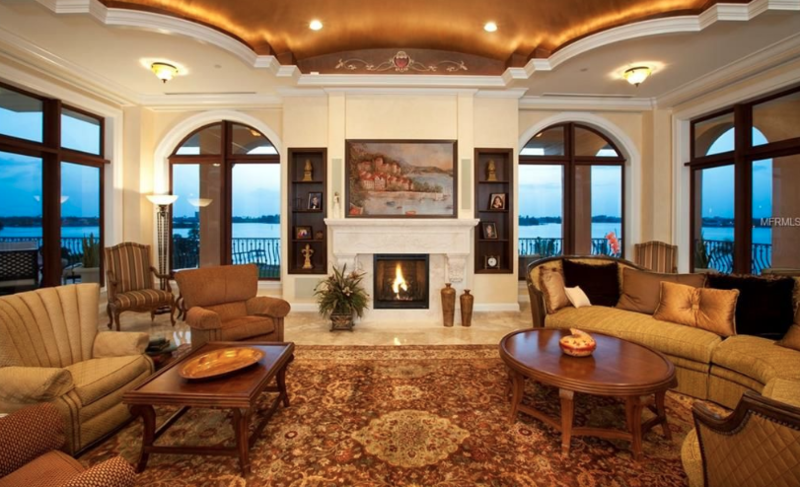 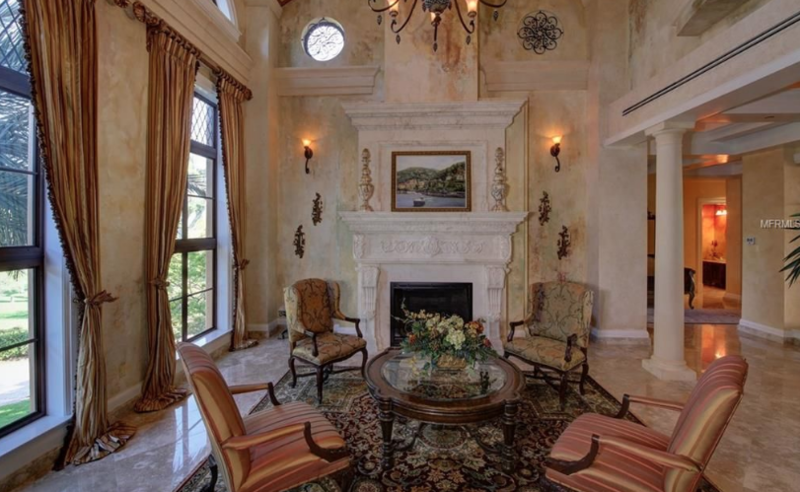 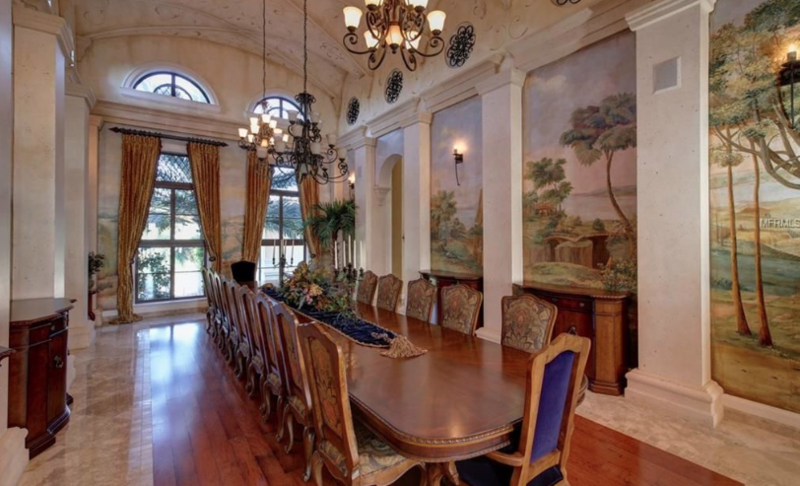 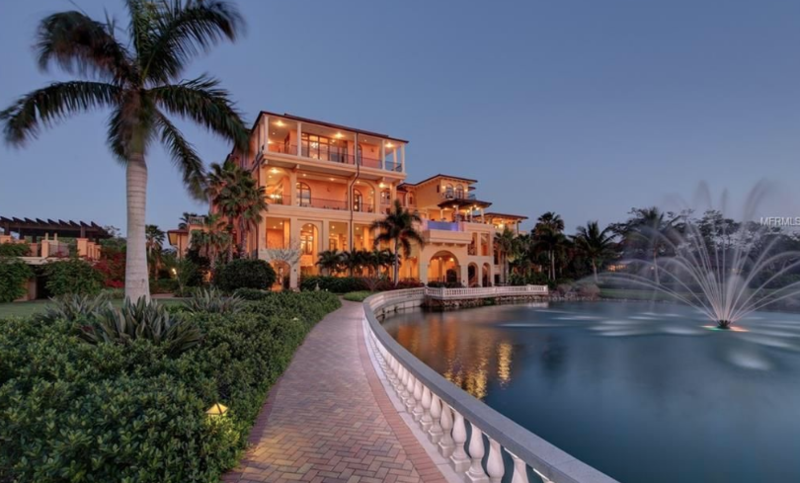 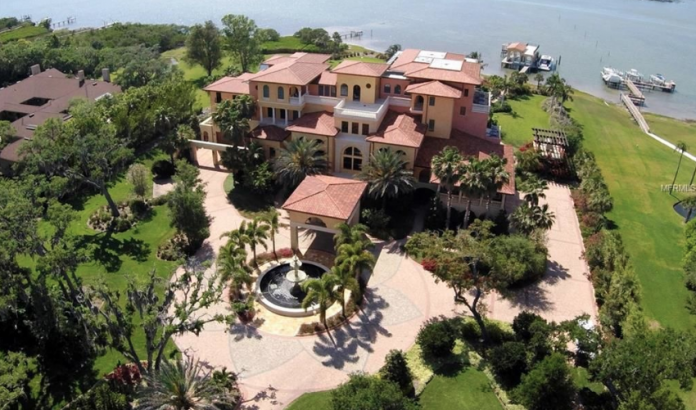 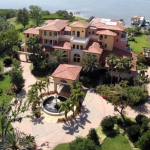 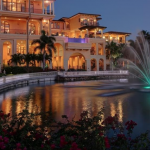 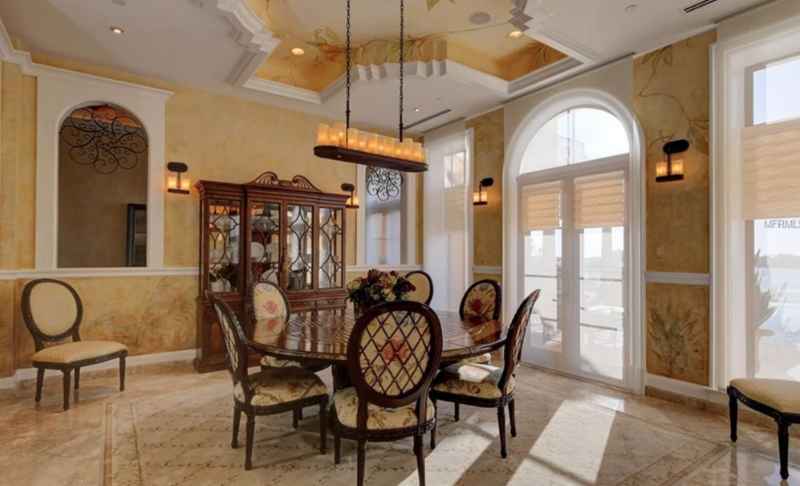 This incredible 4-story Tuscan inspired waterfront mansion is located at 14275 Siesta Road in Largo, Florida and is situated on 4.5 acres of land. 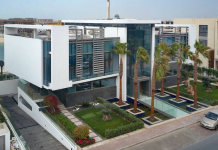 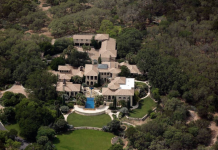 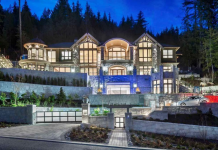 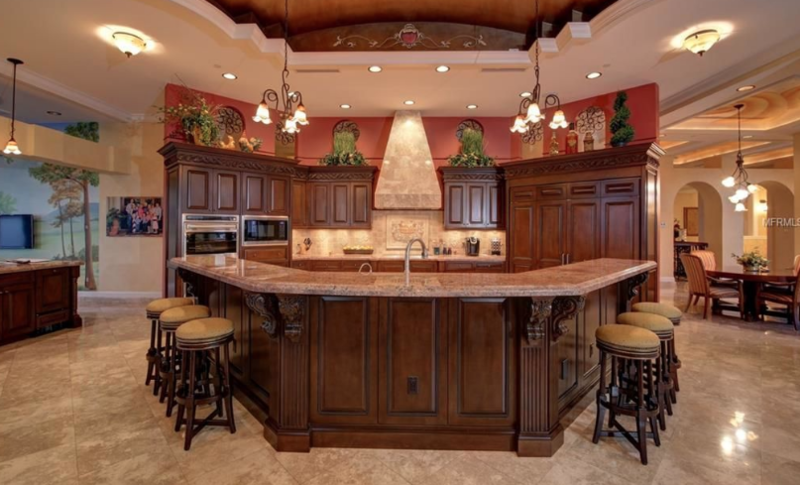 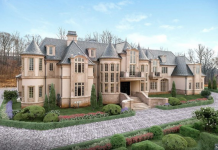 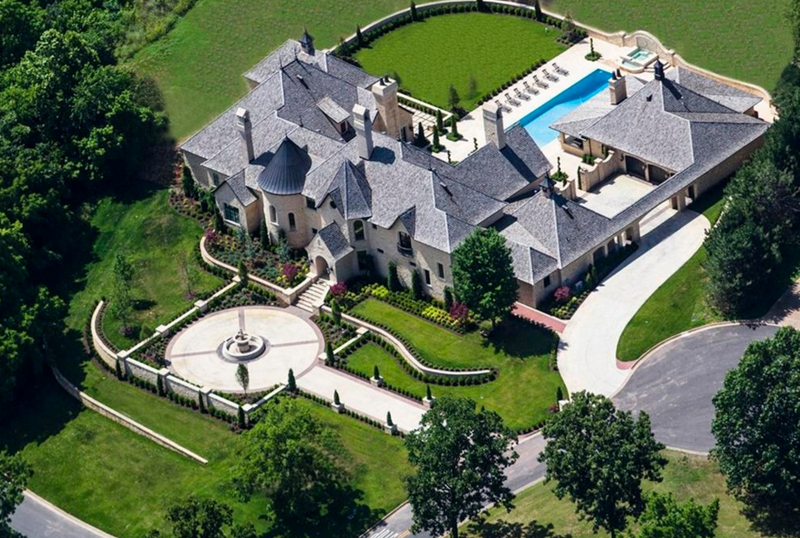 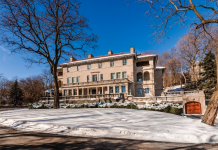 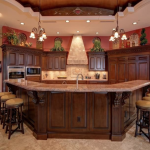 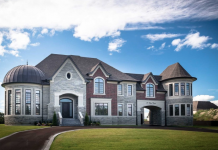 It was built in 2010 and features approximately 17,599 square feet of living space with 4 bedrooms, 5 full and 4 half bathrooms, foyer with staircase, formal living & dining rooms, 2-story great room, gourmet kitchen, catering kitchen, family room, 2 home offices, game room with wet bar, garage and more. 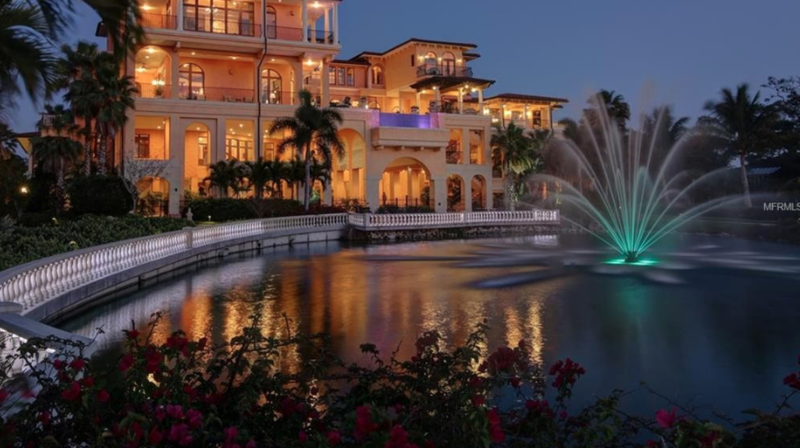 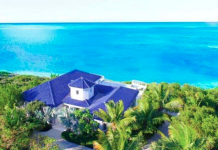 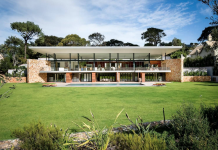 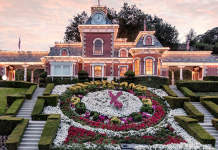 Outdoor features include a gated entrance, fountain, porte-cochere, multiple covered terraces & patios, covered playground, covered putting green, kitchen/BBQ, fire pit, infinity edge swimming pool with spa, pond and a boat dock with boat house.